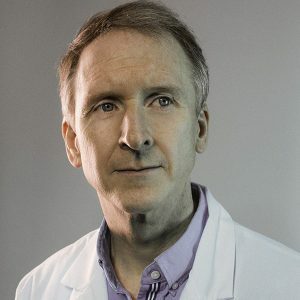 Christopher F. Basler obtained his PhD from Albert Einstein College of Medicine in 1995. He became Professor of Microbiology at Icahn School of Medicine at Mount Sinai in New York City in 2013. He was elected Fellow of the American Academy of Microbiology in 2014. His major research interests are immune evasion and replication mechanisms of filoviruses and other emerging RNA viruses. Notable achievements include the identification and characterization of Ebola virus and Marburg virus interferon antagonist proteins. I study interactions between the host immune system and emerging RNA viruses; with a particular focus on the filoviruses which include Ebola virus (EBOV ) and Marburg virus (MARV ). Filoviruses are emerging zoonotic pathogens that cause frequently fatal disease. They are of scientific interest and concern as potential bioterrorism agents. They cause a severe disease characterized by aberrant innate antiviral responses and uncontrolled virus replication. My lab pioneered efforts to define, at the molecular level, how filovirus interactions with innate antiviral defenses contribute to pathogenesis and identified filovirus-encoded antagonists of the type I interferon (IFN) antiviral response. We have characterized the mechanistic and structural basis by which the EBOV and MARV VP35 proteins inhibit the IFN-inducing RIG-I signaling pathway, and demonstrated that this function is critical for virulence. We demonstrated that EBOV VP24 inhibits nuclear accumulation of STAT1, blocking the antiviral effects of IFN through a novel nuclear import regulatory mechanism. We also found that MARVs block IFN-signaling not through their VP24 protein; instead, the MARV VP40 protein inhibits Jak1 kinase activity. This latter function, we find, is a determinant of virus host range. Currently, we are defining how these innate immune suppression factors modulate adaptive immune responses and are pursuing these proteins as therapeutic targets. Because filoviruses are zoonotic pathogens that likely use bats as reservoir host, we are also characterizing filovirus-bat interactions, with an emphasis on innate immune responses. By defining the similarities and differences in human versus bat interactions with these viruses, we hope to shed light on critical determinants of viral pathogenesis. We expect that these approaches will also teach us lessons about other zoonotic viral diseases. My research on pandemic influenza viruses has included significant contributions to the reconstruction and characterization of the 1918 pandemic influenza virus, a virus that killed an estimated 50 million people in 1918-19. A highlight of this work was my co-authorship on a publication in Science that was recognized by the Lancet as Paper of the Year for 2005. Follow up work to this study led to collaborations with James Crowe (Vanderbilt University) to characterize contemporary immune responses in individuals who had been exposed to the 1918 virus early in life. The resulting study was published in Nature in 2008, with me as co-responding author. My work on innate immune evasion mechanisms encoded by Ebola and Marburg viruses uncovered functions critical for the severity of filovirus disease and has had significant influence on research directions and therapeutic approaches pursued by the filovirus field. My lab has pioneered efforts to define at the molecular level how filoviruses, highly pathogenic viruses of concern as emerging pathogens and bioterrorism agents, evade innate antiviral defenses. For this work on innate immune antagonism, I received an Ellison Medical Foundation New Scholar Award in Global Infectious Disease. Our work in this area has defined novel functions for several viral proteins, pushed the filovirus field to address the contribution of interferon responses to viral pathogenesis and suggested novel therapeutic approaches. Edwards MR, Liu G, Mire CE, Sureschchandra S, Luthra P, Yen B, Shabman RS, Leung DW, Messaoudi I, Geisbert TW, Amarasinghe GK, Basler CF. Differential Regulation o Interferon Responses by Ebola and Marburg Virus VP35 Proteins. Cell Rep. 2016 Feb 23;14(7): 1632-40. Messaoudi I, Amarasinghe GK, Basler CF. Filovirus pathogenesis and immune evasion: insights from Ebola virus and the Marburg virus. Nat Rev Microbiol. 2015 No;13 (11): 663-76. Messaoudi I, Basler CF. Immunological features underlying viral hemorrhagic fevers. Curr Opin Immunol. 2015 Oct;36:38-46. Ewards MR, Basler CF. Marburg Virus VP24 Protein Relieves Suppression of the Nf-kB Pathway Through Interaction With Kelch-like ECH-Associated Protein 1. J Infect Dis. 2015 Oct 1; 212 Suppl 2: S154-9. Feagins AR, Basler CF. Amino Acid Residue at Position 79 of Marburg Virus VP0 Confers Interferon Antagonism in Mouse Cells. J Infect Dis. 2015 Oct 1: 212 Suppl 2: S219-25. Ciancanelli MJ, Huang SX, Luthra P, Garner H, Itan Y, Volpi S, Lafaille FG, Trouillet C, Schmolke M, Albrecht RA, Israelsson E, Lim HK, Casadio M, Hermesh T, Lorenzo L, Leun LW, Pendergnana V, Boisson Sastre A, Basler CF, Geissmann F, Zhang SY, Snoeck HW, Casanova JL. Infectious disease. Life-threatening influenza and impaired interferon amplification in human IRFZ deficiency. Science. 2015 April 24:348 (6233):448-53. Luthra P, Jordan DS, Leung DW, Amarasinghe GK, Basler CF. Ebola Virus VP35 interaction with dynein LC8 regulates viral RNA synthesis. J Virol. 2015 May; 89 (9):5148-53. Basler CF. New hope in the search for Ebola virus treatments. Immunity. 2014 Oct 16;41(4): 515-7. Basler CF. Portrait of a killer: genome of the 2014 EBOV outbreak strain. Cell Host Microbe. 2014 Oct 8;16 (4): 414-21. Feagins AR, Basler CF. The VP40 protein of Marburg virus exhibits impaired budding and increased sensitivity to human tetherin following mouse adaption. J Virol. 2014 Dec;88 (24): 14440-50. Yen B, Mulder LC, Martinez O, Basler CF. Molecular basis for ebolavirus VP35 suppression of human dendritic cell maturation. J Virol. 2014 Nov; 88(21): 12500-10. Xu W, Edwards MR, Borek DM, Feagins AR, Mittal A, Alinger JB, Berrry KN, Yen B, Hamilton J, Brett TJ, Pappu RV, Leung DW, Basler CF. Ebola virus VP24 targets a unique NLS binding site on karyopherin alpha 5 to selectively compete with nuclear import of phosphorylated STAT1. Cell Host Microbe. 2014 Aug 13;16 (2): 187-200. Edwards MR, Johnson B, Mire CE, Xu W, Shabman RS, Speller LN, Leung DW, Geisbert TW, Amarasinghe GK, Basler CF. The Marburg virus VP24 protein interacts with Keap1 to activate the cytoprotective antioxidant response pathway. Cell Rep. 2014 March 27; 6(6): 1017-25. Luthra P, Ramanan P, Mire CE, Weisend C, Tsuda Y, Yen B, Liu G, Leung DW, Geisbert TW, Ebihara H, Amarasinghe GK, Basler CF. Mutual antagonism between the Ebola virus VP35 protein and the RIG-I activator PACT determines infection outcome. Cell Host Microbe. 2013 Jul 17;14 (1): 74-84. Shabman RS, Hoenen T, Groseth A, Jabado O, Binning JM, Amarasinghe GK, Feldmann H, Basler CF. An upstream open reading frame modulates ebola virus polymerase translation and virus replication. PLoS Pathog. 2013 Jan;9(1):e1003147. Martinez O, Johnson JC, Honko A, Yen B, Shabman RS, Hensley LE, Olinger GG, Balser CF. Ebola virus exploits a monocyte differentiation program to promote its entry. J Virol. 2013 Apri;87 (7):3801-14. Martinez O, Ndungo E, Tantral L, Miller EH, Leung LW, Chandran K, Basler CF. A mutation in the Ebola virus envelope glycoprotein restricts viral entry in a host species-and-cell-type-specific manner. J Virol. 2013 Mar; 87(6) :3324-32. Tsibane T, Ekiert DC, Krause JC, Martinez O, Crowe JE Jr, Wilson IA, Basler CF. Influenza human monoclonal antibody 1F1 interacts with three major antigenic sites and residues mediating human receptor specificity in H1N1 viruses. PLos Pathog. 2012;8(12):e1003067. Basler CF. Nipah and hendra virus interactions with the innate immune system. Curr Top Microbiol Immunol. 2012;359:123-52. Leung LW, Martinez O, Reynard O, Volchkov VE, Basler CF. Ebola virus failure to stimulate plasmacytoid dendritic cell interferon responses correlates with impaired cellular entry. J Infect Dis. 2011 No;204 Suppl 3:S973-7.